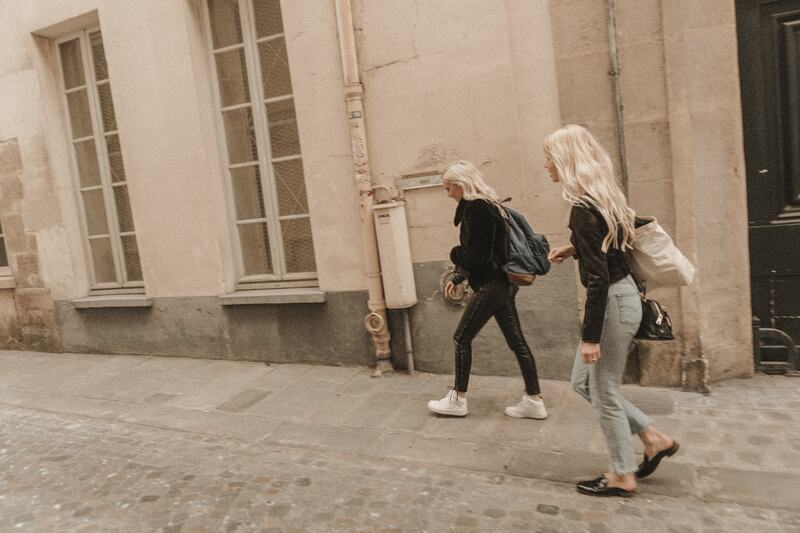 Here’s a little snippet from my day shooting for Brandy Melville in Paris! While Cammy was photographer for Brandy, Josh snapped some candids for the blog and captured a ton of beautiful video footage! This segment was in a pretty little alley way that is one of my favorite spots from the day. I felt very Brigitte Bardot in the off the shoulder crop and vintage Levi’s. 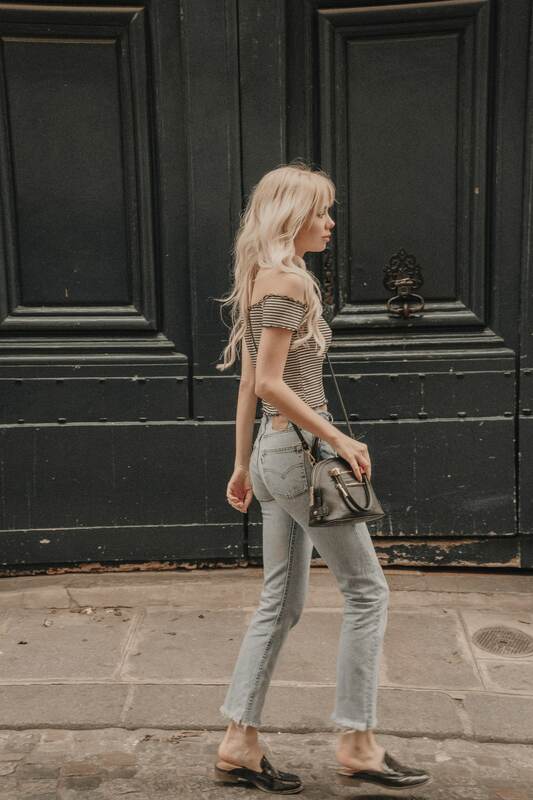 And since shooting this look, I’ve become obsessed with finding more Levi’s to experiment styling. 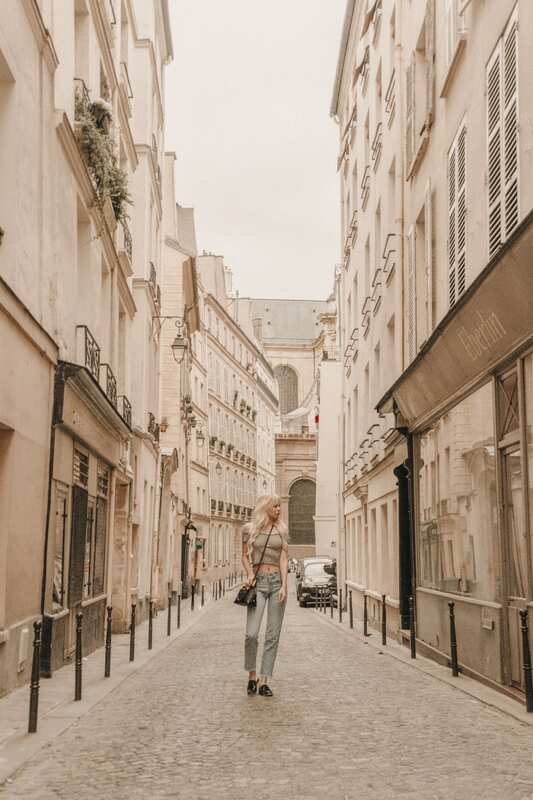 As I mentioned in my post, Summer Trends to Obsess Over, I shared how I styled these little black Franco Sarto shoes and this Bebé purse for most of my time in Paris! I packed way more than I needed (a girl has to have her options! ), but ended up keeping it simple and petite, for the ease of all the city walking that we did. And when I needed to bring extra outfits for shooting, I packed my trusty french basket tote up and just put my purse in it! 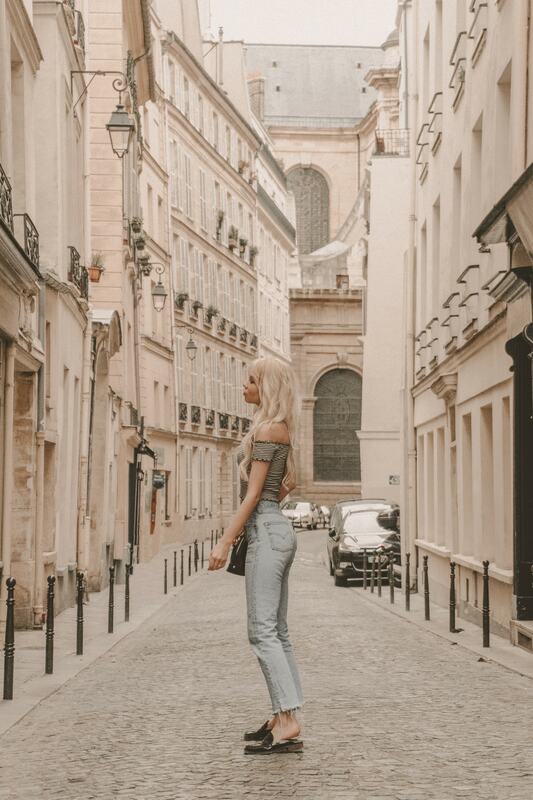 My time in France really did give me a new reasons to experiment with my personal style, and I feel like I was able to express myself in new ways through styling and photography. 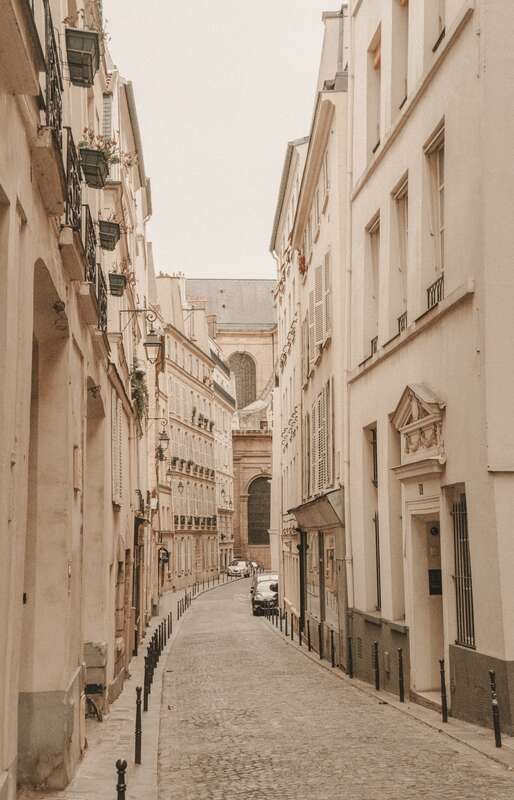 I can’t wait to go back again soon for more exploring of this magical city!